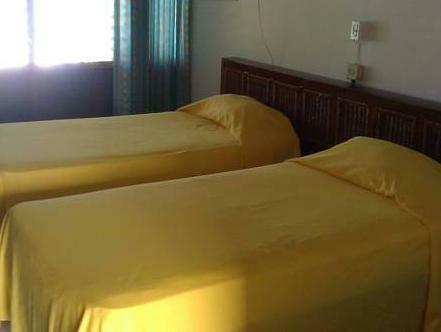 ﻿ Best Price on Hibiscus Lodge Hotel in Ocho Rios + Reviews! Facing the seafront, the outdoor pool at the Hibiscus Lodge Hotel is one of its most outstanding features. The on-site restaurant offers complimentary breakfast and Wi-Fi connection is available throughout. 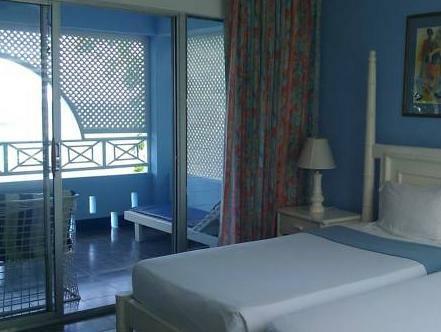 The elegantly decorated rooms are air conditioned, and may feature pool, grounds or sea views. 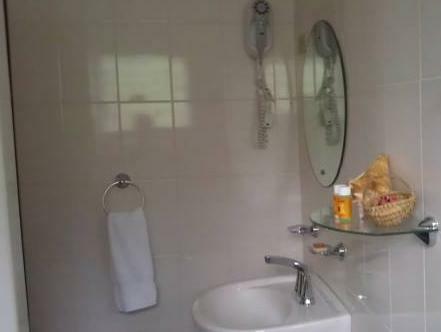 The bathroom is private with either a tub or a shower. The Almond Tree Restaurant serves international dishes, as well as Jamaican specialties. At the hotel there is a tennis court and a public hot tub. Free private parking is available on site. To reach the Dunns River Falls you’ll have to travel 10 minutes by car. The Dolphin Cove and Mystic Mountain are a 15 minute drive away. Please note that when reserving the suite a security deposit of USD 120 will be required upon arrival and refunded at the end of your stay after a damage check. Please inform Hibiscus Lodge Hotel of your expected arrival time in advance. You can use the Special Requests box when booking, or contact the property directly using the contact details in your confirmation. I was in Kingston for work and my wife and I drove to Ocho Rios for the weekend. We had a lovely stay at the Hibiscus. The price was reasonable, we could easily walk to town, yet the property was quiet and not as noisy as the big all-inclusives. Swimming was lovely both in the pool and in the Caribbean. The big catamarans from the all-inclusives bring their guests to snorkel just off the shore from the Hibiscus.